Superdry women’s Vintage Logo pastel deboss hoodie. A twist on the classic, this hoodie features a debossed Superdry logo across the chest making this a stand out piece in your wardrobe. In addition, this hoodie also has a draw cord hood with Superdry taping on the inner, ribbed cuffs and hem as well as a large front pocket. 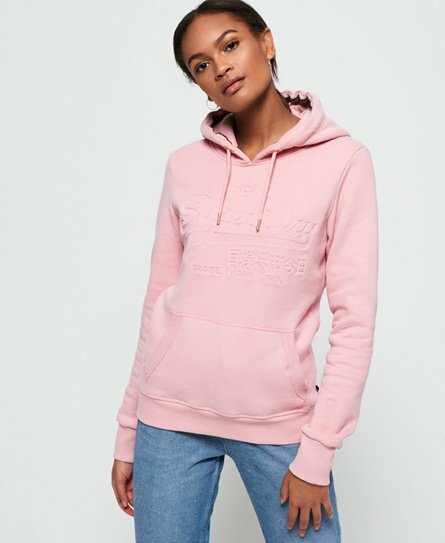 For the finishing touch, this hoodie has a Superdry tab on the side seam. Pair this hoodie with classic blue jeans and trainers for a casual look.